The global market for hyperspectral imaging will grow from nearly $73.6 million in 2015 to $152.9 million by 2020 with a compound annual growth rate (CAGR) of 15.7% for the period of 2015-2020. 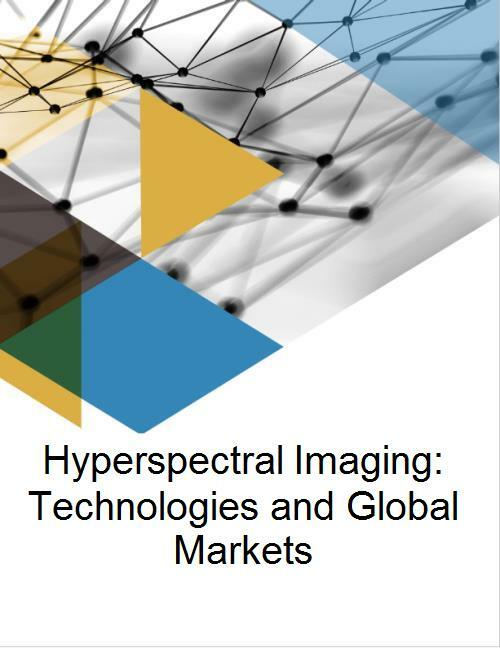 - An overview of the global markets for hyperspectral imaging, a digital spectroscopy which combines methods such as NIR (near infrared), visible, and fluorescence imaging. - Analyses of global market trends, with data from 2014, 2015, and projections of CAGRs through 2020. - Information covering advancement in the technology of hyperspectral imaging in different applications, especially in healthcare and research activities fuelling the growth of the market. - A look at the increasing adoption of hyperspectral imaging in the fields of diagnostics, life sciences, military surveillance, and mining, as key driving factors for the hyperspectral imaging market. - Detailed analysis pertaining to market sizes, revenue forecasts, the value chain, market & product trends, and the competitive landscape. - By technology: spatial scanning and spectral scanning. - By form factor: portable and benchtop. The portable equipment sector is further segmented into handheld and others. The benchtop equipment sector is further segmented into rack- mounted and others. - By system: benchtop camera, outdoor camera, airborne camera and hyperspectral software. - By application: military surveillance, mineralogy, food processing, agriculture, healthcare, research and others. - By region: North America (United States, Canada and Mexico); Europe (United Kingdom, Germany, France, Italy and rest of Europe); Asia-Pacific (India, China, Japan, South Korea and rest of Asia-Pacific); and Rest of World (RoW) (the Middle East, Africa and Latin America, which includes Central and South America). In addition to an industry and competitive analysis of the hyperspectral imaging market, this report includes a patent analysis and a listing of company profiles for key players in the market. Table 58 : Developments Of Chemimage Corp.
Table 60 : Developments Of Galileo Group Inc.
Table 61 : Developments Of Geospectral Imaging Inc.
Table 64 : Developments Of Headwall Photonics Inc.
Table 70 : Developments Of Specim Spectral Imaging Ltd.
Table 71 : Developments Of Surface Optics Corp.
Table 72 : Developments Of Telops Inc.